The Hydra-Electric engineering white paper, Next-Generation Aerospace Sensors Respond to New Demands, provides the content for a featured article by the same name in the May/June issue of the Fluid Power Journal, both in print and online. The Journal is the official publication of the International Fluid Power Society. 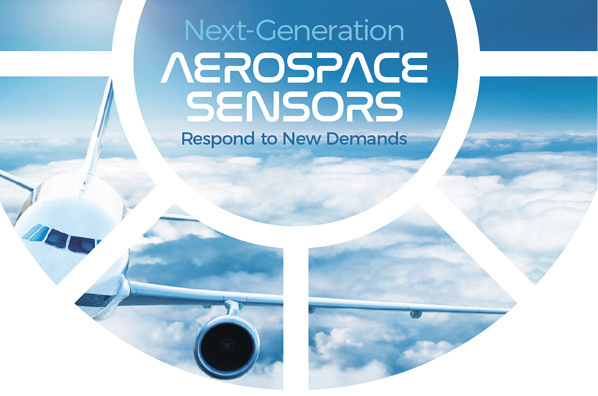 The article points to the evolving market demand for aerospace sensors and transducers. As new aircraft technologies have developed, sensing design has needed to respond to new requirements. These next generation sensors must withstand extreme conditions, while maintaining the smallest size and weight as possible. The article discusses the challenges to sensor design presented by new composite materials used in aircraft, innovations in sensor design, elevated EMI requirements, and touches on technological trends that impact aircraft measurement devices. We are proud of our outstanding team of engineers, which continues the Hydra-Electric history of innovation. Visit our Knowledge Center to view our selection of white papers. This entry was posted in Aerospace Engineering, Aerospace General Interest, Aerospace White Papers, Aircraft Sensor Design, Sensor technology and tagged aerospace engineering, aerospace sensors, aerospace white papers, aircraft engineering, aircraft sensor design, Fluid Power Journal, Hydra-Electric products, Hydra-Electric sensors, NextGen sensors. Bookmark the permalink.